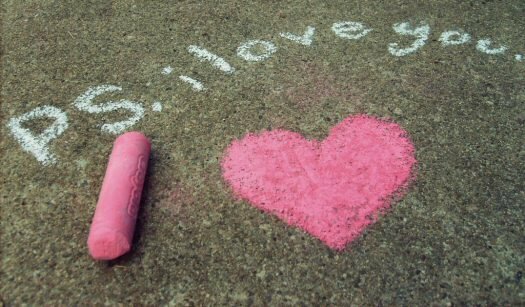 As Valentine Day approaches, a lot of the singles have been planning to stay at home and watch TV or gather other singles to enjoy the day! 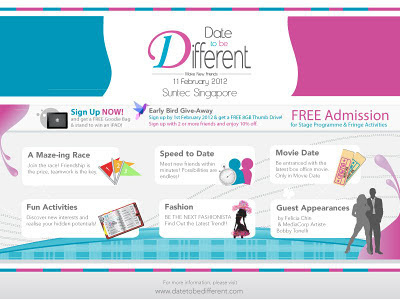 If you have been thinking along the lines, here's an extra opportunity to perhaps find your special one - An SDN Event! 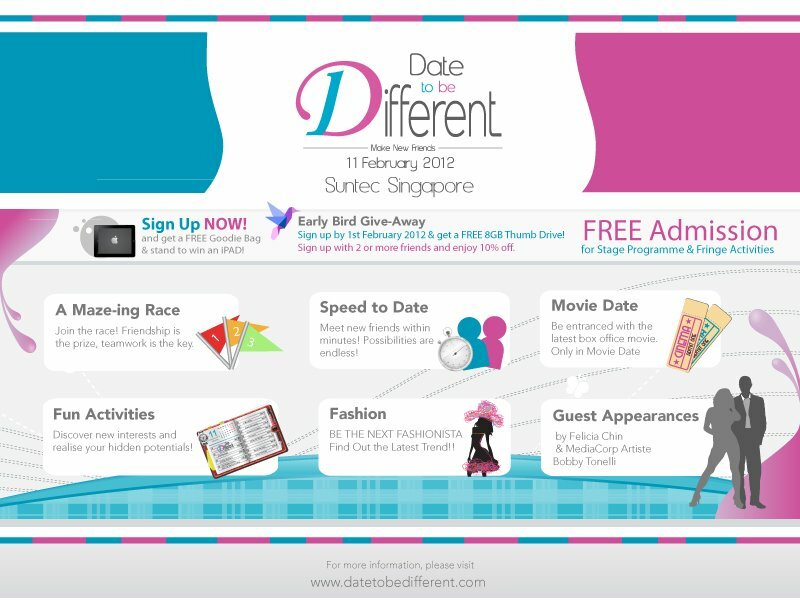 "Dare to be Different"
Sign up with 2 or more friends and you get 10% discount! Many people think going for an event such as this is very "Ma Lu"; Very Paiseh; Very embarrassing. But in this time and age, its an opportunity for you to know more friends outside your social circle; outside your work place. You never know - your prince charming might just be there! 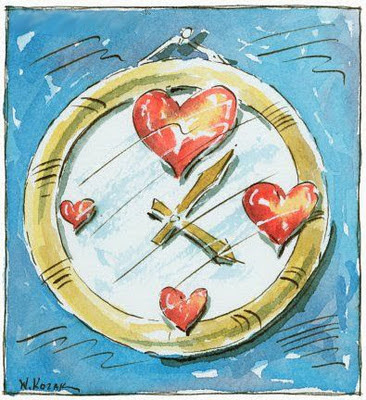 (I know of many couples who met through SDN - Some are married, Some are getting married sooonnnnn; And some have decided that it did not work out but are still very good friends) Why not? Its fun! And it does not cost much! On that day there are free activities and some at a small cost. Free activities such as Caricatures, Tap Tap Machine, Board Games, Air Hockey and many more. 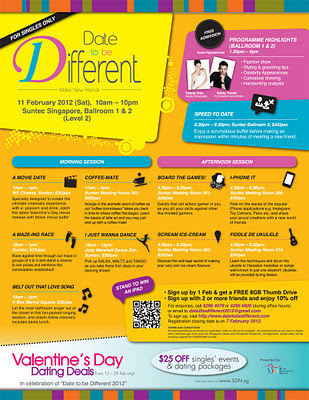 + Felicia Chin(Mediacorp Artiste) and Bobby Toneli (Class 95 DJ)will be there. 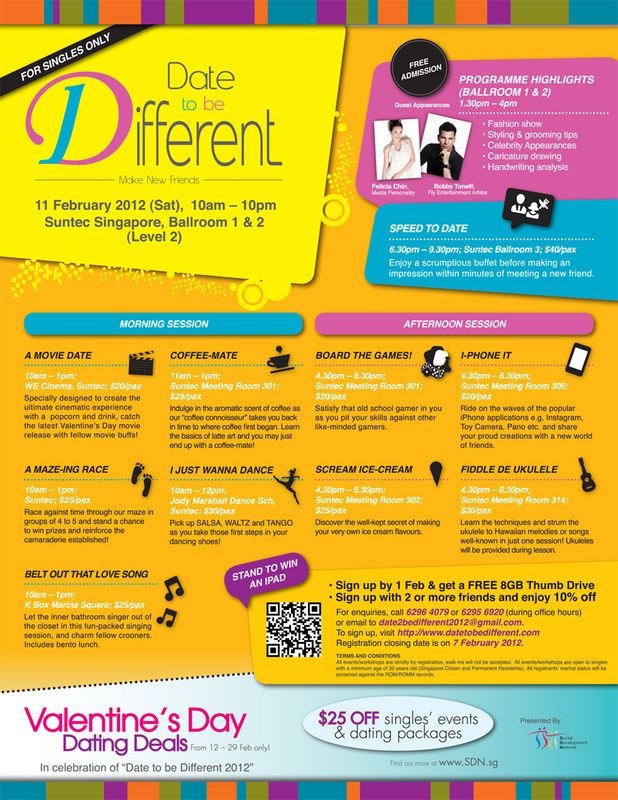 You can also sign up for the events (Dancing, Singing etc) and workshops organized.